Each March, Patient Safety Awareness Week is held to encourage patients to take safety precautions and to be aware of signs that they may be receiving substandard or dangerous medical care. The educational effort occurs annually and healthcare organizations provide promotional material and resources for patients and hospital staff. While Patient Safety Awareness Week does a good job drawing attention to the need for patients’ to take an active role in managing their own healthcare, the reality is that patients need to go the extra mile to be safe at all times when dealing with the medical and pharmaceutical industries. This is especially true in situations where a patient is prescribed a drug. 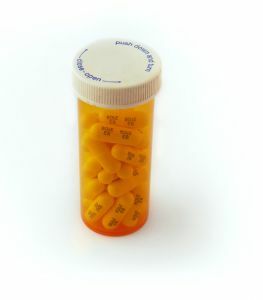 Under these circumstances, the plaintiff needs to not only be aware of potential pitfalls that the doctor could create (like prescribing the wrong dose) but also of potential problems that could develop if it turns out the safety of a drug is overstated and the risks not disclosed or understood. A Massachusetts injury lawyer can help patients who have been prescribed a medication that later turned out to have risky side effects. Patients should check warning labels on all medications carefully and understand the appropriate dosage and the possible effects of the drug. Unfortunately, sometimes manufacturers don’t fully disclose and even the most careful of patients could find themselves experiencing problems when manufacturers hid the harm that a prescription could cause. Prescription painkillers are drugs about which many patients underestimate the risks. According to the National Safety Council (NSC), the number of deaths resulting from the use of prescription painkillers has increased more than 300 percent since 1999. While there were just 4,030 deaths due to opioid painkillers in 1999, this number was up to 16,651 in 2010. With such a high death rate, a startling 45 U.S. citizens die every single day in the United States because of unintentionally overdosing on prescription pain medication. The increase in overdoses has been driven by the fact that many more people today are prescribed prescription pain killers. In 2010, for example, doctors prescribed enough pain killers to medicate every single American 24/7 for an entire month. The number of prescription pain killers sold to pharmacies, doctors offices and hospitals grew by four-times over the course of a decade. Some of these prescriptions went to patients who were doctor shopping or visiting multiple physicians to obtain a pain killer prescription. However, while some people who overdose do use the medications recreationally, there are also many people who were prescribed pain medications because of a legitimate medical need. Some of these patients perhaps were inadequately informed of the addictive qualities of the drug. These patients could consider taking legal action against doctors, or against manufacturers of pain pills if they believe that the companies themselves oversold benefits and understated the dangers of the medications. To stop this rising tide of prescription drug deaths, doctors need to be smarter about prescribing, drug companies need to ensure they provide ample warning of side effects, and patients need to do their parts to make a conscious choice about what drugs to take.